UFOs have been reported by the Navy and other branches of the military for decades. Despite numerous reports, the military has not put any significant or serious effort into finding out specific explanations for UFO incidents. One of the reasons why there has not been a serious effort is because there is a negative stigma associated with those who believe that the UFOs may be visitors from beyond Earth. “I can tell you, I think it was not from this world,” retired US Navy pilot Commander David Fravor told ABC News in an interview in December 2017. 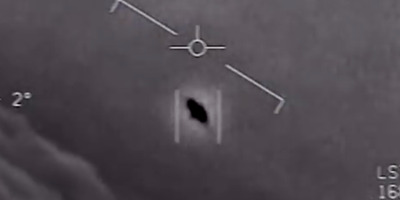 Fravor was describing his encounter with an unidentified flying object during a training mission off the coast of California on November 14, 2004. The UFO was performing seemingly impossible moves – “left, right, forward, back, just random,” in Fravor ‘s words, and then accelerated and disappeared. “I have never seen anything in my life, in my history of flying that has the performance, the acceleration – keep in mind this thing had no wings,” he said. Video of the incident, along with another similar encounter, was published in December by the New York Times. 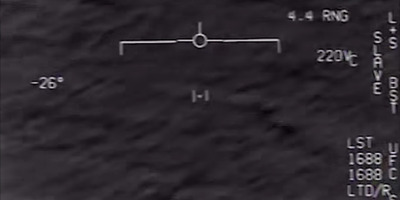 The second video shows US Navy pilots tracking one of apparently numerous UFOs moving at high speeds with seemingly no source of propulsion. “This is a f—— drone bro,” one pilot says. “There’s a whole fleet of them. Look on the S.A.” the other responds. Soon, to the shock of the pilots, the UFO changes position. “Look at that thing!” one calls out as the UFO, somehow manages to turn on its side while still maintaining its speed and direction. “Its rotating!” the other pilot says. 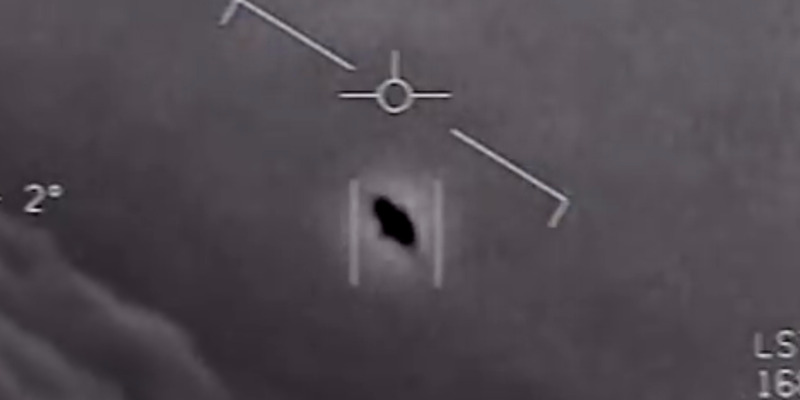 Another video posted online last Friday by the To The Stars Academy of Arts & Science, a private scientific research group, shows a similar incident – a US Navy F/A-18 getting a lock on a UFO, and the crew yelling their excitement and confusion at each other. “Whoa! Got it!” one of the pilots, yells after getting a lock. “What the f— is that thing? !” the other asks. 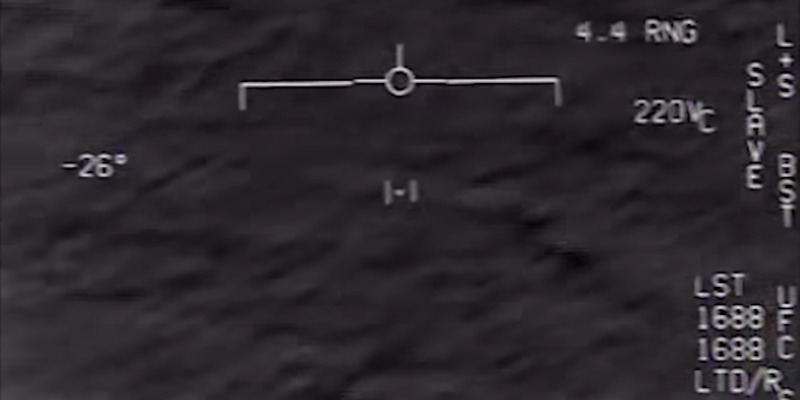 These videos are a select few of a number of recorded encounters between the US Navy and UFO’s that the Department of Defence has unclassified and released. TTSA has posted videos to give an in-depth analysis on each event that the DoD has released. The DoD has not identified any of the mystery aircraft, leading some to believe that they could be extraterrestrial technology manned by alien visitors. The DoD did have a program dedicated to investigating UFO incidents that was started in 2007, but the department terminated the funding for the project in 2012. Though the Times reports that some defence and intelligence officials are still investigating the incidents, they appear to have made virtually no progress in coming to a conclusion or any findings. There is reportedly a negative stigma associated with anyone who pursues the idea that the UFOs are extraterrestrial life visiting earth and believers tend to attribute the slow progress on identifying the aircraft on lack of interest from superiors. “Nobody wants to be ‘the alien guy’ in the national security bureaucracy,” Christopher Mellon, an advisor to TTSA and a former deputy assistant secretary of defence for intelligence in the Clinton and George W. Bush administrations, writes in the Washington Post. As a result, he claims, the military does virtually nothing with the numerous reports of UFOs that servicemen make. “There is no Pentagon process for synthesizing all the observations the military is making. The current approach is equivalent to having the Army conduct a submarine search without the Navy,” Mellon writes. Mellon argues that the issue needs to be taken seriously, and that a concerted effort that cuts through the “quarrelsome national security bureaucracies” could find realistic explanations for the incidents, and not rule out alien life as purely fictional. Robert Bigelow, an American billionaire who works with NASA, is likewise convinced that aliens exist and that UFOs have visited Earth. Countries like China, Russia, and other European nations are willing to pursue this idea more than their American counterparts, according to Bigelow. “They are proactive and willing to discuss this topic, rather than being held back by a juvenile taboo,” he said.